16 Photographs at Ohrdruf: Two Film Festival picks! The big news of the day is that my film 16 Photographs At Ohrdruf has been selected for two film festivals! Acceptance emails arrived yesterday. The first festival is the Boston International Film Festival, which is a great hometown win! BIFF runs from April 12th through April 21st, 2013 at the Loews Cineplex/AMC. Mark your calendars! The second festival is the G.I. Film Festival shows films “that honor the heroic stories of the American Armed Forces and the worldwide struggle for freedom and liberty.” I think it is a great festival for the veterans and historians featured in the film. This festival runs May 6th through 12th, 2013. I’m excited to be a part of both of these festivals. I’ll post more info as soon as I have it. 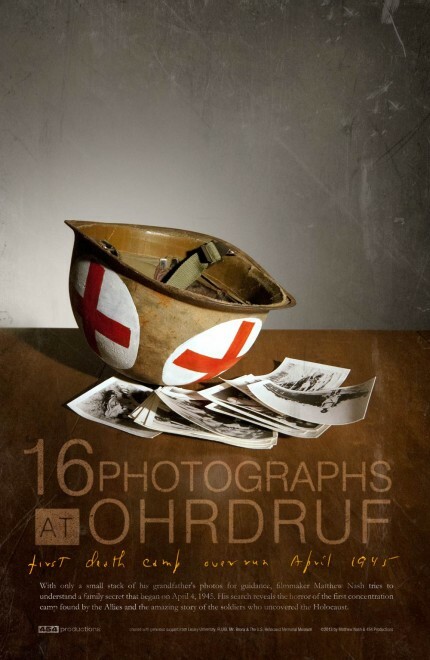 Click here for more about 16 Photographs at Ohrdruf. Read posts on this blog that extend the story of the film.